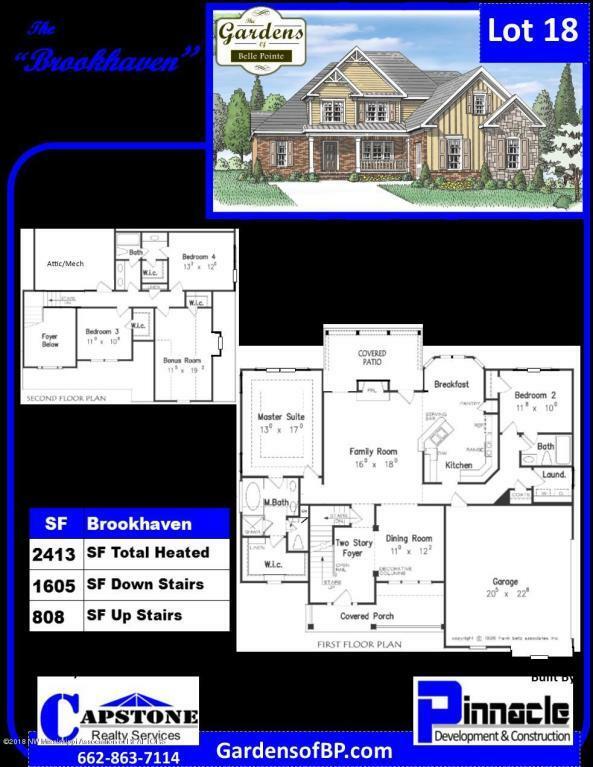 Welcome to this Craftsman style home featuring the Brookhaven plan. This home has 4 bedrooms and 3 full baths with a finished bonus room that could be used as a 5th bedroom. The open plan has 2 bedrooms rooms down, a formal dining room and breakfast room, granite in the kitchen and master bath. You will find hardwood in the downstairs living areas and tile in the wet areas. Outside are front and back covered porches. There are many options to choose from and time to pick your colors and finishes.